Is shopping for a new portable air conditioner making you sweat? Olimpia Splendid’s range of portable air conditioners might just be the solution to take the heat off. Exclusive to The Good Guys, the brand aims to create a comfortable space with a powerful air conditioner that produces minimal noise. Some of the other items available from Olimpia Splendid include electric blankets, dehumidifiers and air coolers. 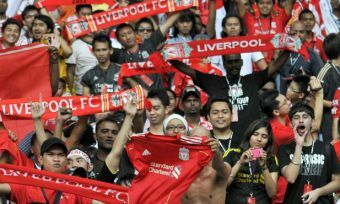 Fan mode: the portable air conditioner can also operate as a fan. 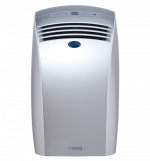 Cooling dehumidification: the dehumidifier is ideal for keeping the humidity of the environment low. Cooling mode: each Olimpia Splendid Comfort Line model contains three different settings. Automatic mode: automatic mode adjusts how the appliance operates depending on where it is placed, and apparently monitors the power to ensure ‘optimum’ ventilation, dehumidification and temperature. Timer: the timer automatically turns the portable air conditioner off and on. 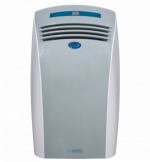 If you’re shopping around for a compact portable air conditioner to cool a small room, then the Olimpia Splendid PIU ECO 12 is known as the “little one” in the PIU series. It is said to use minimal consumption and has a 3.52kW cooling capacity. The PIU 12 also removes up to 1L of humidity per hour. The Olimpia Splendid PIU 14 Portable Air Conditioner is described as a more energy-efficient solution to keep your home cool. It provides a 4.1kW cooling capacity and delivers three speed settings. The PIU 14 also eliminates up to 1.1L of humidity per hour, which may be ideal on especially humid days. The Olimpia Splendid PIU Cube 16 is the most powerful portable air conditioner in the range. It produces 4.7kW of power, and is claimed to eliminate up to 1.2L of humidity per hour. 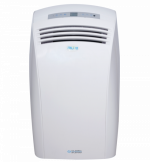 This model is more suitable for larger rooms and is said to provide up to 400m3/h of air. Should I buy an Olimpia Splendid portable air conditioner? For an energy-efficient way to stay cool in the summer, Olimpia Splendid offers a few options from its PIU series. The Comfort Line includes the Olimpia Splendid PIU ECO 12, PIU 14 and PIU Cube 16. From ‘fan mode’ to ‘cooling mode’ and ‘automatic mode’, each PIU model contains a number of convenient features designed to help you avoid becoming a hot mess this summer. While the Olimpia Splendid PIU 12 offers the smallest cooling capacity, it still boasts 3.52kW of power to sufficiently cool a small room. But if you want to cool a medium-sized room, typically measuring between 20m2 and 40m2, the Olimpia Splendid PIU 14 and Olimpia Splendid PIU 16 are available for at least an extra $100 to $250. Make sure you’re shopping the best portable air conditioner for your home by comparing a variety of ratings and reviews on the Canstar Blue website. Brands like Rinnai and Kogan have been some of the strong contenders, leading the way in categories such as reliability, functionality and noise. But make sure to also check out other big names including DeLonghi, Convair and Dimplex. There are also smaller brands such as Honeywell, Polo Cool and TCL to consider.